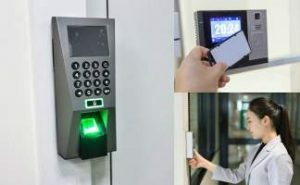 Access Control Systems is popular among offices in Singapore to provide a safe and secure work environment and to safeguard company assets against any threat of access control intrusion or corporate espionage. One of the major problems with Electronic Access Control systems is you can only revoke or blacklist an Access card profile from the Door access system only when the authorized staff is aware it is missing and have informed the lost incident to the administrator. To remedy this security weakness inherent in an access security system, one of the advanced features of our electronic Door access control system is that it allows you to keep the expiry dates extremely low to as short as a few hours. 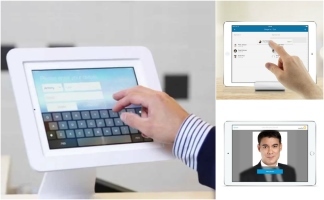 So just imagine, the instant you enter into the Facility in the morning, the users’ access card get extend automatically every time the user presents the access card to the reader in the Office Door access system. This renewal of the card credential can be authenticated using a PIN code or with Biometrics. With such an access control system architecture, it means that when the card is misplaced, it automatically becomes invalid as a second layer of authenticating credential is needed to update the card. In the scenario that the access card is stolen by an outsider, there is a less possibility of the access card being exploited for illegitimate intrusion as the access card credential will be removed out of the access management system. 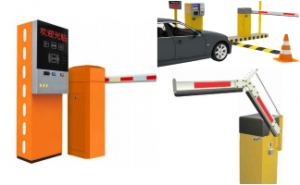 In electronic access control solution, although a lot of the engineering is about Software codes, Encryption, Security levels, and Authentication credentials, we also place emphasis on implementing a durable Mechanical physical protection. We understand that if the Mechanical Locking protection is easy to bypass, it would be as good as not having any Security Access Control right from the beginning. When audit control functions of an access control solutions are bypassed, it also means that you are unable to check who was there earlier. A Hardwired access control systems offer the best reliability and security as we can be almost 100% sure that it will always work without malfunction, however, note that such an access control solution needs expensive hardwiring infrastructure. Such hardwired system is excellent for access doors in the building facilities where you need full, real-time high security. Typically in a building, such a system is only deployed on a small proportion of doors. Data on card system is a Wire-Free access control system which is different from a Wireless access control system. It is driven by a virtual network of physical cards which is used as an element to store and carry the access control credential data. Although there is a small wait time, it is very functional security access solution as the access cards can be constantly updated with the most current access rights profile information. Such Data on card systems are appropriate for most normal office building doors. They are very easy to install as you don’t have to take into account physical wiring or wireless Radio transmitters. We believe that the Data on card systems is here to stay and has a lot of potential Commercial and Residential security applications. These days, wireless access control has undergone a significant refinement and is a very in-demand solution due to the real-time information accessible on their access control management system. 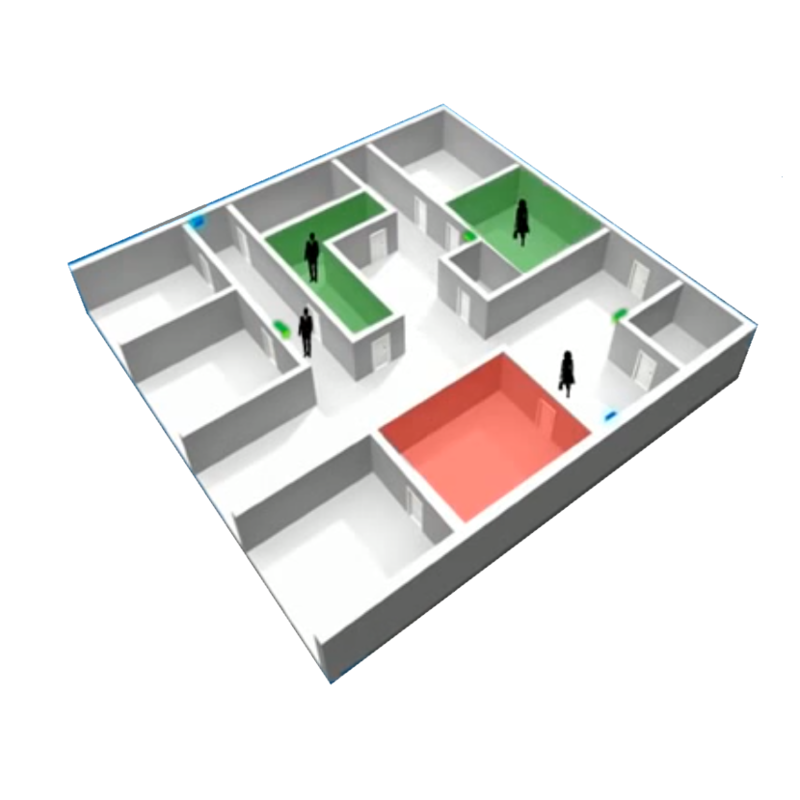 This audit trail allows security management to pinpoint where employees are during daily movement. 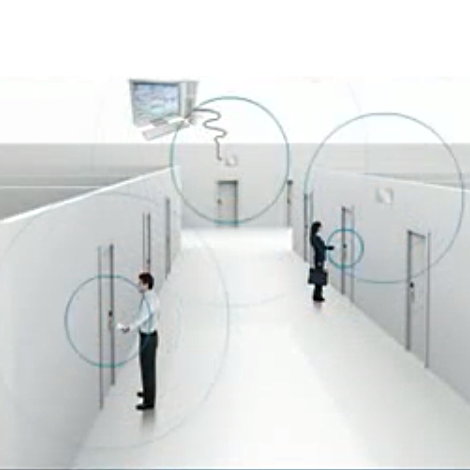 A Wireless access control systems are suitable for doors where you need real-time control and monitoring. Such wireless system is equipped with a radio transmitter, it allows the access reader is to be wirelessly connected to the wireless network. We have taken into account these security threats and ensure that the door does not simply grant unauthorized free access when it encounters such failures. In recent years, CIOs all over the world have been tasked with the mission of securing their company enterprises networks from internal and external security threats. Within the last decade, IT groups have been faced with the mission of improving the enterprise’s physical access security as also. 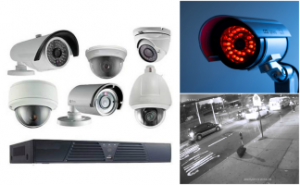 Increasingly corporate organizations have become recognized of the advantages needed to utilize/adopt security systems that can grow and expand upon the existing IT and physical security infrastructures. From scalable security management systems to security employee ID badging technologies, T3 Security Integration provides your organization a future-proof access solution for today that will continue to work with you in the years to come. 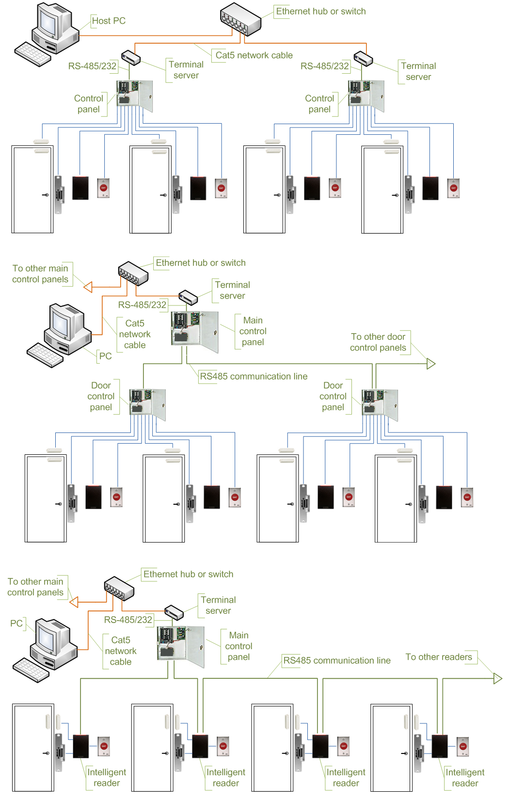 Access control panels are in essence the central brains of the access control system. 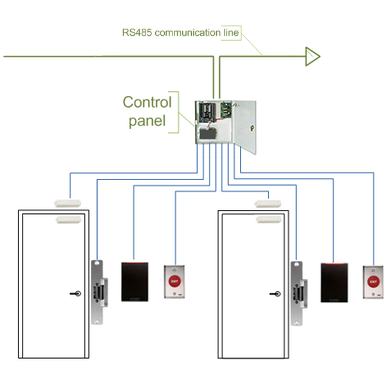 Often the access control panel is consist of an electronic circuit board placed inside an enclosed control box equipped with the electrical power supply. In some cases, there is an emergency battery power backup as also to equip for a situation of a power cut. The quantity of access points or doors you can control is determined by the technical specification and features of the specific access control board you choose. Some of the types of access control cards include Smart cards (eg. 13.56MHz MIFARE, HID iCLASS, DESFire, DESFIRE Evolution 1, Pico pass) and Long distance cards, which is the most often used detection device in a typical access control setup. The physical distance that the RFID access cards can communicate and the quantity of data that they can hold will depend on the card technical specifications. Smart cards are similar but can also hold extra valuable personal information about the user such as medical info or can even be used as an employee debit card for making payments. Key Fobs are basically the same as access cards but can be used as a key-chain. Some even have LED lights and sounds that provide alert the user if they’ve been granted or denied entry access. These access control readers can wirelessly detect a person who possesses a compatible authenticating device on them such as an RFID Access card or Key fob. 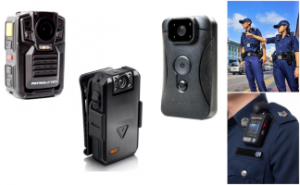 Depending on the proximity reader hardware used, it can detect the personal identification devices at various distances. In some instances, the person may have to physically swipe an access card on the access control reader, whereas in other situations, it may be able to detect them at a slightly further distance. Unlike RFID proximity readers, Alphanumeric keypads require the user to type in a uniquely assigned access PIN code directly into the unit. Biometric Fingerprint, Finger Vein, and facial recognition access control readers can reliably recognize a user’s unique biometric features to determine appropriate authorization actions for that person. For extra durability, many access control readers also come in a vandal proof version. 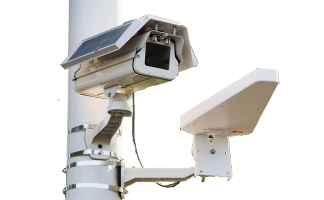 Vandal proof models are much resistant to vandalism and are usually weatherproof, making it suitable for outdoor deployment. Many organization also use the integrated time management features in their access control system as an employee time clocking device. This allows the access control system to integrate with a payroll management system, allowing companies to precisely record when the staff performed a daily clock in or out during working days. Although many access control systems come with integrated Access control software, some access control system deployment may need additional software solutions to run more advanced access management features. The access control program is where you as the building security administrator will manage users access rights, access schedules and more. There is numerous other add-on software available, such as Time and Attendance Tracking, Visitor access management and Video management. 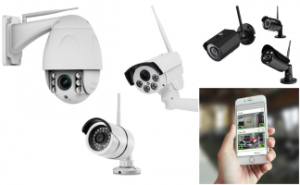 For more comprehensive information on access control hardware and program, feel free to go our company web page at T3 Security Integration. Once the user has been given entry access, it must send a digital signal to the door locking mechanism to physically unlatch it. In such access control implementation, the door needs to have an electronically special equipment that works with the access control solution. The two most common mechanisms are Electric door strikes and Maglocks. Maglocks are electrically powered magnets that will hold the door closed until the access control system sends an electrical signal to unlock the door. Exit buttons and Bars often go on the opposite side of a door and enable a personnel to efficiently request exit from secured premises. We carry are a wide variety of exit buttons and bars, whereby some are standard electric powered press-to-exit buttons and some are pneumatic. Pneumatic buttons usually do not require external electrical power so an exit is possible even when electrical power isn’t provided. There are also exit buttons models with a delay function for more restricted areas where the user must hold for a few seconds before an exit is possible. 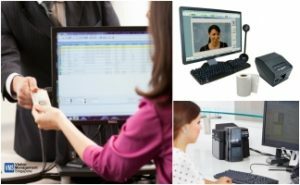 Access Card printer and Encoder can save you precious hours by Printing, Reading and Write up to three different card access control technologies in a single pass card. 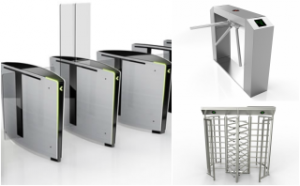 The access control system is a perfect solution for issuing staff access control cards for multiple places. Built-in with an Ethernet connection interface and an internal print server, you can easily install our access card printer on your network as quickly as any other network printer. From great-looking photo ID cards to large volume card printing and encoding applications, the access card printer and the encoder is the right choice. Being the Singapore’s trusted leader in secure identity management solutions for years, T3 Security Integration is your reliable corporate security solutions vendor that will be there to serve when you need us. To find out more about the access control solutions T3 Security Integration offers large companies or enterprises, feel free to call us at 81822236 for a no obligation discussion of your needs. 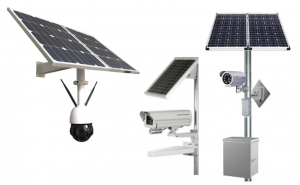 Learn more what Access Control Systems can do for your project today! For more information on our products or request for quotation, contact us at +65 6100 8374 for a no obligation discussion of your needs.